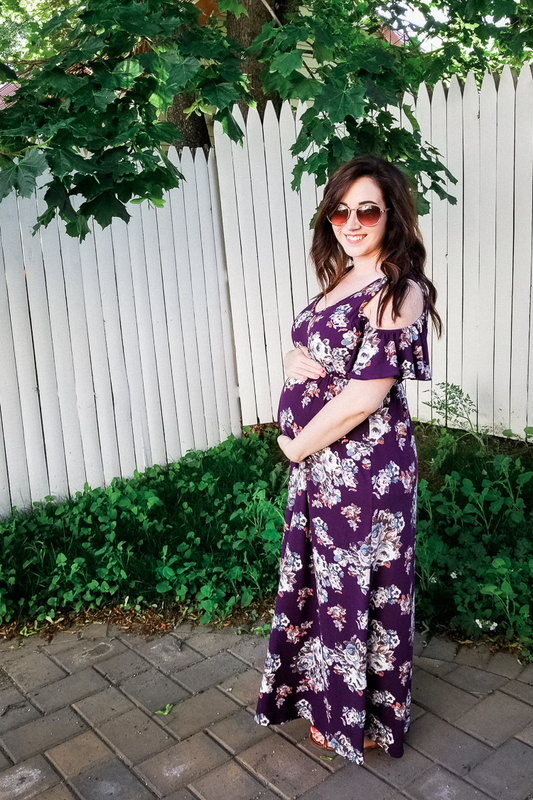 Wrapping up the second trimester and sharing how I’m feeling, my favorite products so far, and answering some of your questions! And just like that, my second semester has come and gone. Actually, it came and went a week ago or the week before depending on who you ask, but that’s just how crazy life has been! The second semester was definitely easier than the first and I’m already starting to feel the aches and fatigue of the third trimester. But also happy that Evie is growing well and strong, even if my ribcage disagrees most nights. I honestly can’t say that this semester was all that different from beginning to end other than the obvious growth in my baby bump. You might also recall that we didn’t announce until halfway through the second trimester, so everything is a bit jumbled, but I plan to do bumpdates every few weeks as we get closer to Evie’s arrival! 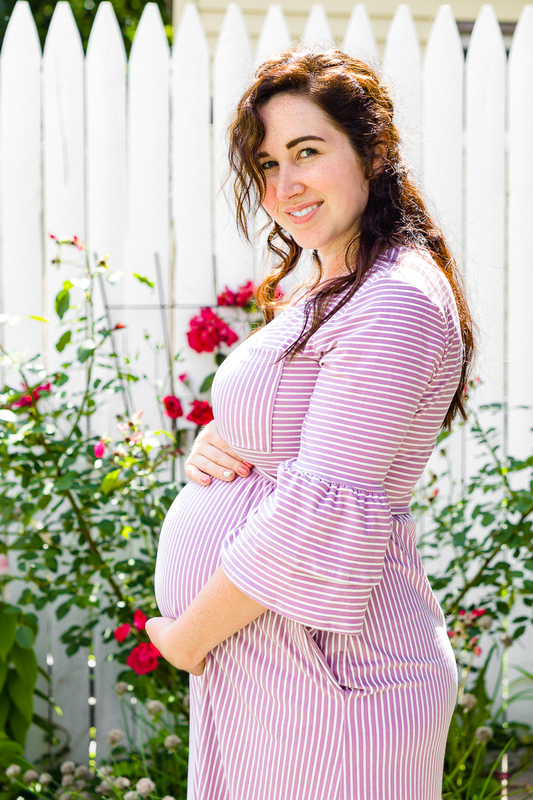 Earlier this week I took to my Instagram stories to let you ask me questions about my pregnancy and promised I would answer them in this post, so here they are! I would say one of my besties is being a little too sweet because I sure haven’t felt cute lately… I feel sooo tired most of the time since a good night’s sleep is suddenly hard to come by. The humidity has been brutal the last few weeks, so I’ve pretty much given up on styling my hair, hence my naturally wild mane in the image above. The dress I’m wearing in the photos is from Wren & Ivory, it’s non-maternity but baby bump friendly. Does Evie Have a Middle Name? Not yet! We have some ideas, but nothing set in stone. I can’t remember if I told you guys but I gave my husband middle name rights after the Gender Reveal photo session, I’ve given some input, but he’ll get the final call (within some parameters)… here’s to hoping I don’t regret it! However, once we do pick a middle name, I won’t be sharing it here on the blog, just so baby girl has some privacy. How Late Can You Travel? I have no travel restrictions in place beyond the recommended no flying after 36 weeks. However, I likely won’t be flying between now and the end of the pregnancy. I’m still hoping to do a couple weekend road trips before baby, but man, those weekends are disappearing FAST! Still none really, and definitely nothing that’s been all day every day. I might decide I really want an iced tea or a cookie on an afternoon, but that’s nothing new from my pre-pregnancy life. Yes and no. I am planning on pumping, but will not be directly breastfeeding, we also plan to supplement with formula as needed. I want her to get the additional nutrition benefits from my body, but direct breastfeeding itself has never appealed to me for a number of reasons which I won’t get into. I am of the opinion that fed is best, no matter how you do it. The dress pictured above is the French Grey – Jaimi Maternity Cold Shoulder Knit Maxi Dress from Stitch Fix Maternity. Are You Doing Maternity Photos? I don’t think so. I’ve mentioned before that Matt hates photoshoots/photos and I felt like putting him through our announcement photos was enough “punishment”. I absolutely loved our announcement photos and got several of them printed and turned into canvases, at which point I started to realize that we are running out of wall space. Matt and I have been together going on 13 years and we have a lot of photos of just the two of us and I felt like another session was unnecessary. AND I really wanted both studio photos as well as in-home newborn photos, so we’ll be splurging on a couple photoshoots this fall/winter instead. My first baby is doing quite well and getting excited to meet his little sister. He spends a lot of time in the nursery (which might be because he knows there are stuffed toys hidden in the closet). But so far he seems to know something is happening, he’s just not sure what yet. But I can’t wait until he meets her! 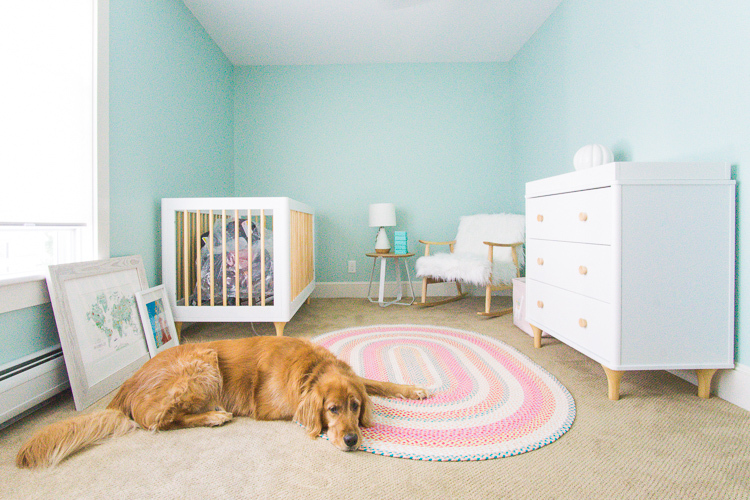 Have You Picked a Nursery Theme Yet? We sure have! It’s travel-inspired of course! I’ve been picking up little things for baby girl’s room during my travels the last couple of years. I’m excited to mix those pieces in with some fun prints and photographs, other cute pieces, and some beautiful and fun hoop art my great aunt is making me. As of today (29 weeks), I’m up about 7 lbs from my starting weight and up 13 lbs from my lowest weight during my pregnancy. Ideally, I’m hoping to only gain about another 10 lbs during the pregnancy to stay in the lower end of my expected weight gain. This should be doable based on how I’ve been tracking. Holy hell. 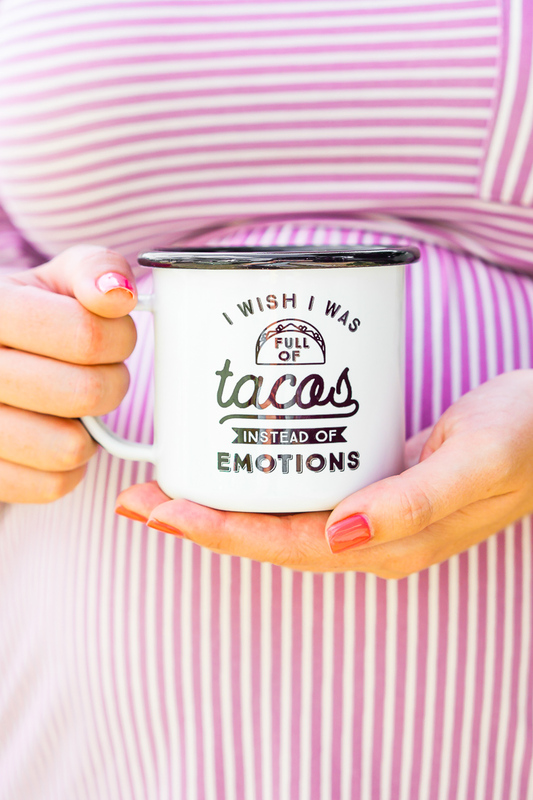 For the most part, the second trimester was a nice little reprieve from the hormones of the first, but the emotions made a strong comeback at the end of the second and the last couple of weeks have been a rollercoaster. I’m trying to keep them in check as best I can, but it seems like an inevitability I should just let run its course at this point. Bio-Oil – A friend shared this product with me after my last bumpdate and I’m so glad she did! I’ve been using this as well as cocoa butter lotion to fend off stretch marks. And yes, I understand that stretch marks are for the most part genetic, but it won’t stop me from trying to prevent them. Even though this is an oil, it won’t leave any oil marks on your clothes if you apply it and get dressed right away. Audible – Yes, I loved Audible before, but with so much to do each day to get ahead on work and life before Evie gets here, I’ve begun cruising through more audiobooks and I’m so appreciative of the distraction. You can check out my Summer Reading List to keep up with what I’m reading! Wren & Ivory – This has been my go-to for cute and comfortable dresses. The add new product to their boutique every Friday (which can be dangerous). All of their stuff is non-maternity, but a lot of it is bump-friendly! DL1961 Jeans – These are a bit pricey, to begin with, and I’ve lucked out finding a couple of pairs at Norstrom Rack, but so far they are the most comfortable Maternity jeans I’ve been able to find that actually fit me decently. 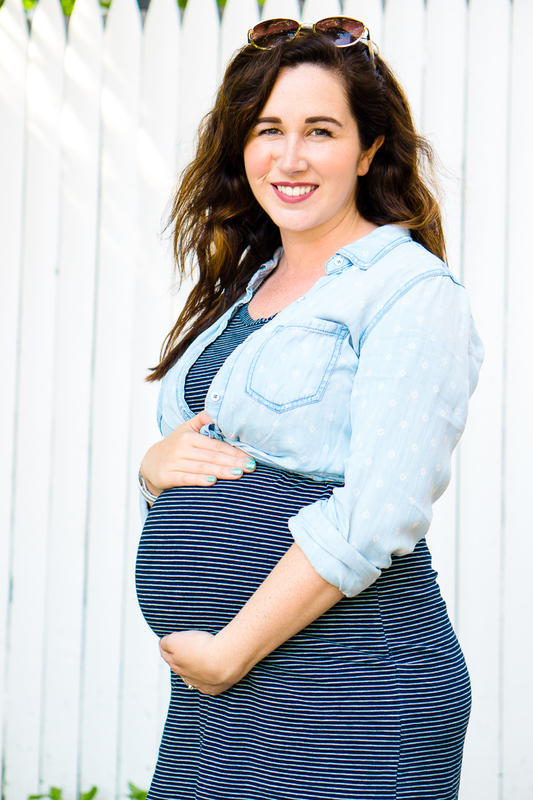 Old Navy Rockstar Jeggings – These are non-maternity, but the elastic waistband and great price have made them my go-to jeans during this pregnancy. They have a bunch of different shades as well as some distressed options. Up until three weeks ago, I was able to get by with a pair that was a size up from my pre-pregnancy size, but then had to go 2 sizes up, however, the next size up will definitely be too big in the legs, so here’s to hoping I can stretch my current pair out for a while. Yeah, it’s like 0 to 180 in a second over the stupidest stuff. My poor husband 😜 and yeah, isn’t that mug the best!!!!! Loved reading your update on Evie’s upcoming arrival and all the wonderful products you enjoy 😊 ~ looking good Mama~to~be!! Well, hopefully that just means I’ll have your good genes! I love reading about your pregnancy and experience. My husband and I were deemed an infertile couple way back in 1971, and we now have 8 children and have been married 48 years. I know how happy you must be and I know that your child will flourish in that happiness and love. Thank you for your sweet words, Olivia. And 8 children, such a blessing and so much love, I’m sure!